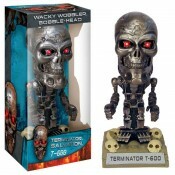 The T-600 bobble-head stands approx. 17 cm tall, features LED light-up-eyes and comes in a window.. 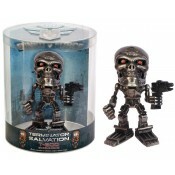 The T-600 Super Deformed bobble-head stands approx. 14 cm tall, features moveable arms. ..